Objective: Assisted	reproductive	technology	is	an	established	infertility	treatment	which	is	not	routinely	covered	by	most	health	insurance	programs	including	the	health insurance program for the United States Department of Defense (DOD); TRICARE. 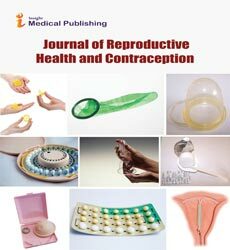 The	purpose	of	this	study	is	to	examine	patient	opinions	regarding	assisted	reproductive	services	and	insurance	coverage	in	the	military	health	care	system. Methods: An	anonymous,	randomly	distributed	cross-sectional	survey	of	patients	presenting	for	care	at	five	different	outpatient	clinics	was	completed	at	Madigan	Army	Medical	Center	from	February	to	May	2015. The	surveys	queried	patients	on	insurance	coverage	for	in-vitro	fertilization. In	addition,	demographic	data	was	obtained	for	each	respondent. Chi-square,	Student’s	t-test,	and	logistic	regression	were	used	for	statistical	analysis. A	P	value	of	0.05	was	considered	significant. Results: 598 surveys were distributed with 527 completed and returned (88%). 59%	of	respondents	believe	that	TRICARE	should	cover	some	portion	of	advanced	reproductive	treatments,	and	69%	of	respondents	would	support	coverage	even	if there were an increased personal cost associated with providing this coverage regardless	of	whether	they	had	a	personal	need	for	this	service. In	addition,	more	respondents	from	the	infertility	clinic	(75%)	supported	TRICARE	coverage	of	advanced	reproductive	technology	to	those	from	other	clinics	(55%). Respondents	under age 40 (72%) supported TRICARE insurance coverage of advanced reproductive	technology	compared	to	those	(44.7%	of	respondents)	aged	41	or	greater. Conclusion:	Among	DOD	beneficiaries	surveyed,	a	majority	support	insurance	benefits	for	advanced	reproductive	technologies.